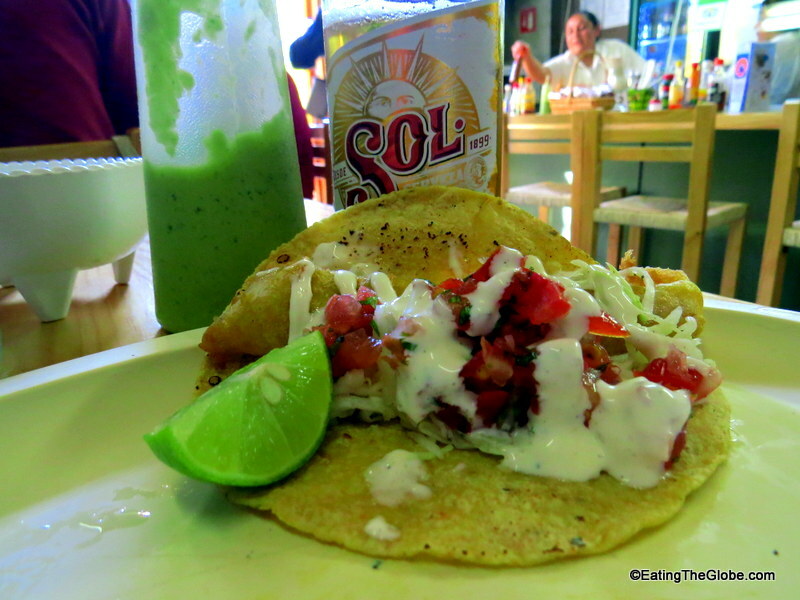 I can’t tell you how excited I am to have found authentic Ensenada style fish tacos in San Miguel de Allende. The owner of Baja Fish Taquito is from Tijuana and it shows. These are fish tacos done right. Fish perfectly crispy, fried in a beer batter, with a little cabbage slaw, pico de gallo, and a creamy white sauce. They also make their own salsas: a green verde sauce, a peanut/chile arbol sauce, and a red smoky guajillo sauce. All of them are made perfectly with just the right amount of heat. This little hole-in-the-wall makes more than just fish tacos. 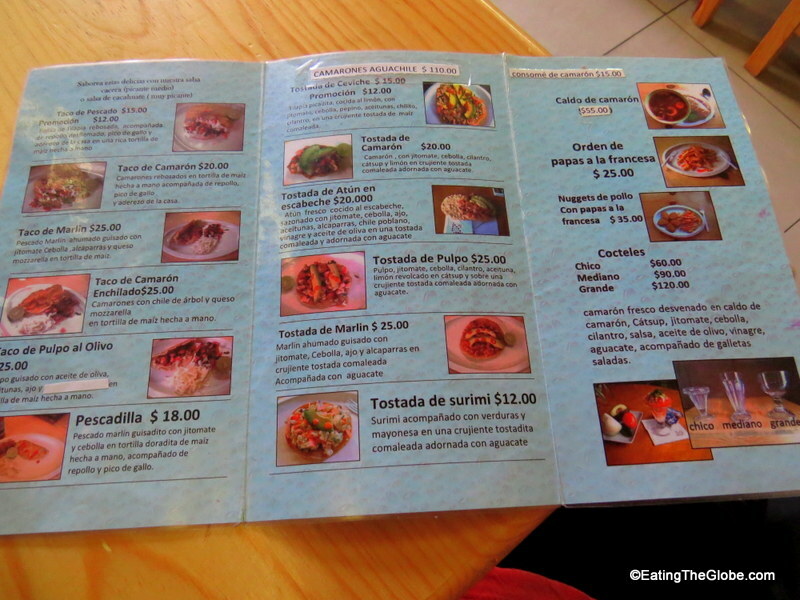 You can also get shrimp, marlin, or octopus tacos, and a variety of seafood tostadas. 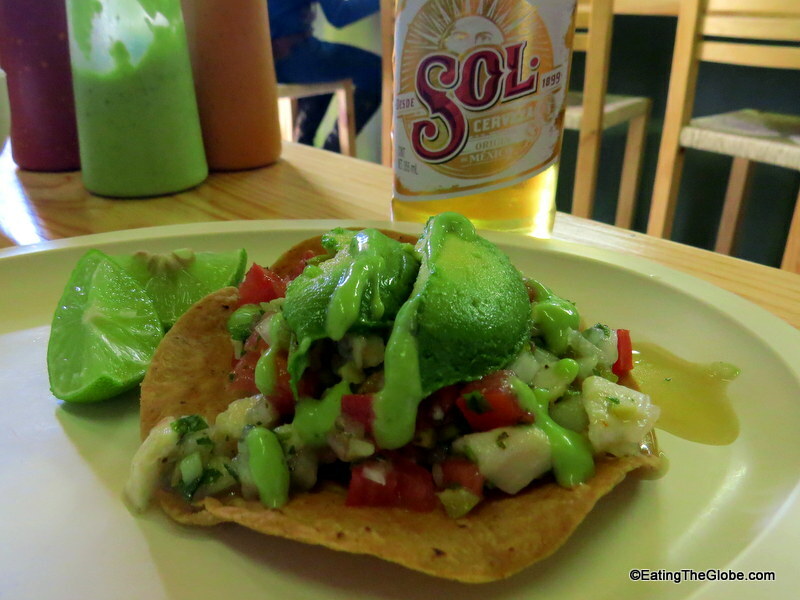 I chose the ceviche tostada and the freshness and flavor was outstanding. I have read rave reviews about the tuna tostada, so that will be my next choice when I go back. They have combination deals that come with drinks which makes eating here a great value. Baja Taquito makes their own agua frescas with purified water and often have tamarind, mango, or guava to choose from. The prices are very reasonable with the fish tacos being 12 pesos (less than $1 US) and the ceviche tostada being 15 pesos. All of the food is prepared in front of you at the counter, and the staff is always smiling and friendly. They also serve cheesecake and flan for dessert, but I’ve always been too full of tacos to try it. Baja Taquito is located at Mesones #11-B (about 2 blocks from the Plaza Civica) and you can reach them at 415-121-0950. They are open every day until 8pm. This is one place in San Miguel de Allende, Mexico that you won’t want to miss. 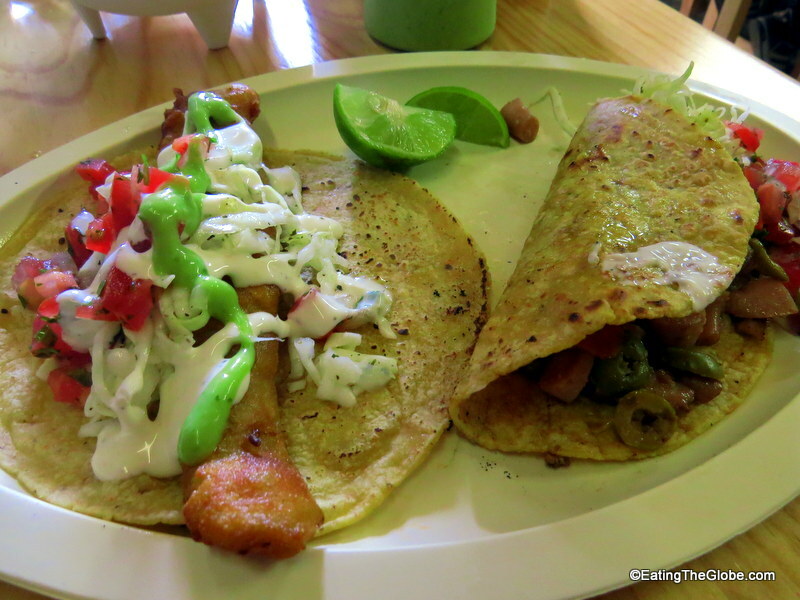 4 Responses to "Baja Fish Taquito: Ensenada Style Fish Tacos In San Miguel de Allende"
Those tacos look really yummy! I was just watching the Top Chef finale in San Miguel de Allende, which is how I stumbled upon your site. Glad I did. We have similar interests! I’ll definitely be back to see what’s next. How awesome! Yes, I think that Top Chef episode will make many people even more aware of San Miguel!! I love fish in anything. 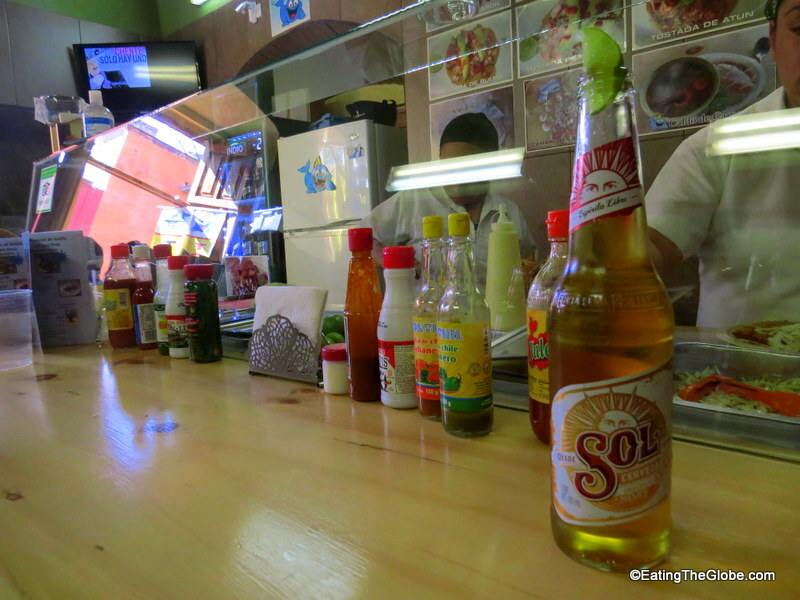 Is the food in Mexico similar to Spain – I have travelled there a lot and really love the food. No, Leslie, it is completely different!